My name is Carey Taylor. I am married to my supportive and loving firefighter husband, Jimmy. We married on August 30, 2014 after five years together. Jimmy and I are a real-life "Brady Bunch". We have a blended family - each with three children from our previous marriages - together, raising two girls and four boys, ages six to 20. I hold a Bachelor's degree in Communications with minors in Political Science and French, and have a Master's degree in Leadership and Teaching. 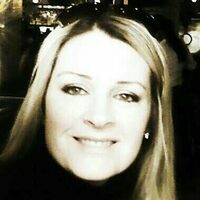 I have developed and operated businesses in both the Fitness and Home Decorating/Event Planning industries. Prior to my teaching and entrepreneurial pursuits, I held positions in the fields of Public Relations and Legislation. Over six years ago, my three children and I renewed our spiritual lives by becoming Catholics. Our faith is a central focus of our family. Together, with my husband and his children, we strive to strengthen our commitment to living according to His word. I enjoy fitness, dance, music, home decorating, entertaining, travel, reading and politics. As my friends will tell you, I am passionate about policies affecting families and children and am a sucker for a lively political debate! I am a self-described "outgoing introvert" and "conservative libertarian". I am a pro-life advocate and a traditionalist as well as a feminist - I embrace the empowerment of women, while also recognizing the valuable role that only a woman can fulfill in a family. I support a woman's choice to become all she wishes to be, while also encouraging and supporting her instinctual need to be a nurturer of the family and a nester of the home. "Notes from the field" is a blog-based website created to build a community of support for modern homemakers. It was officially launched in the summer of 2015, but has been a project-in-the-making for several years. This blog is dedicated to all women who are committed to finding joy in the ordinary. It is for women who are doing their best with what they have to live a purposeful life while creating a comfortable home and nurturing our next generation of responsible citizens. While this project focuses on many topics relevant to homemaking, it is more than a "homemaker's blog". It considers other aspects pertinent to being a homemaker in the modern era. To me, a modern homemaker is someone who has interests and talents that go beyond the four walls of her home. She may either be a stay-at-home mom, a woman telecommuting from home, or a mom with a career outside the home (the latter may surprise you - more on that in a moment!) She has a thirst for learning and is educated, either through formal schooling or the school of life, and she is civic-minded. She may either have a traditional or not-so-traditional family, balancing the challenges of raising her biological, adopted and/or step children. She finds creative ways to stretch the family dollar and may even be an entrepreneur. In a society where we often associate an individual's status with income, it might be difficult for the stay-at-home types to reconcile the notion of our self-worth as "just" homemakers since we receive no compensation for what we do. I absolutely love being a stay-at-home mom. Although I see it as very fulfilling and rewarding, I sometimes struggle with how to introduce myself when attending my husband's work parties or when meeting a group of folks working in the professional world. When I've met someone and have been asked, "What do you do for a living?" I have stammered to say something more substantial than, "I'm a homemaker." Why has it been tough at times to give a simple answer? I plan to explore that question in future articles. And, although I have more questions than answers, my hope is that with the help of your stories, this blog will help to shed some light on all of the facets of our job - the good, the bad and the ugly! I don't want to leave out the moms who are career women - the ones who are busting their rumps outside the home (whether by choice or by circumstance), returning at the end of their work day to the "mom" and "homemaker" jobs awaiting them. I have lived on both sides of the fence - I know what it's like to simultaneously manage a full-time job (with inflexible hours), a family and a home. I'm here to say neither side has greener grass! Both scenarios present their own sets of challenges and rewards. The truth is, if you are a woman and you have children and a home, you, too, are a homemaker! Sometimes, we stay-at-home moms can forget that those women working outside of the house have many of the same struggles as those working inside the home. There is plenty of mom-guilt to go around and I think we can benefit from sharing stories and exchanging ideas in order to find our way through the labyrinth of parenting - and life itself. Our goal should be to encourage and support each other. This website is a positive and uplifting place for all women. You may receive my latest blog posts directly to your email inbox if you'd like, (enter your email address in the "Subscribe" section.) And, if you have an idea for a story or would like to be featured as a guest contributor, please click on the "Share" section to send me an email with your thoughts. I am excited to begin this journey and to build a community of support with your help! Thanks for stopping by!